FIFA World Cup which held every 4 year is the most populariInternational sporting event in the world, and for this year, South Africa was chosen as the host for 2010 FIFA World Cup. To celebrate the hottest sporting event, EA SPORTS has debuted highly-anticipated 2010 FIFA World Cup authentic soccer game for iPhone and iPod touch, which the company claims as the only official, fully-licensed World Cup game on the App Store, featuring wide range of passing skill and responsive shooting system to bring your experience of soccer game to a next level. 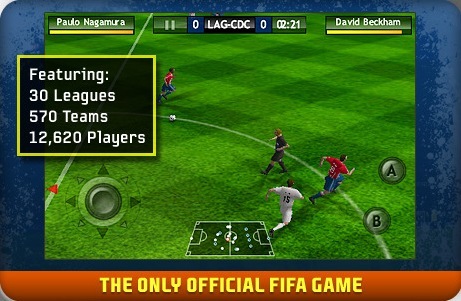 Interested gamers can download the $6.99 FIFA 10 by EA SPORTS football game that includes a fully integrated sound effects and tutorial prompts from here.